Am I the only one who finds these implosions hard to take? I've been thinking since last night how to talk about the Frontier and the implosion. I knew I should have posted a few days ago that it was coming and considered doing a countdown. But at the end of the day, it's part of my history that got destroyed in the early hours of the morning. Granted, the Hotel Last Frontier had left the landscape many years ago as had the Frontier and the New Frontier. As Pete Barbutti says, you have to have practically lived in Las Vegas from the 1940s to follow all the name changes and why. But the bottom line is that one of the most historic properties (the second resort, in fact) ceased to exist last night. There will be no new Frontier built on its bones. The various pieces of buildings that had been turned into the Frontier are gone. The history is gone, save for places like this site and archival sites in Las Vegas such as the Nevada State Museum and Special Collections. But like the Stardust, this one hurts because it harkens back to that mythic post-war era in Las Vegas when anything was possible and people, tired of rationing, tired of war, tired of their own backyard, got in their Chevrolets and went to see the USA. Las Vegas, the city, is barely over 100. The County (which includes the Las Vegas Strip) is not even 100 yet. Though they may not have much left, if anything, of their original buildings or footprints, the original remaining "ladies" of the Strip, I think, deserve better than to be imploded for the party goers of America. They represent what the Las Vegas Strip once was and they remind us why that history is important. Each time one of the original ladies goes it breaks my heart. 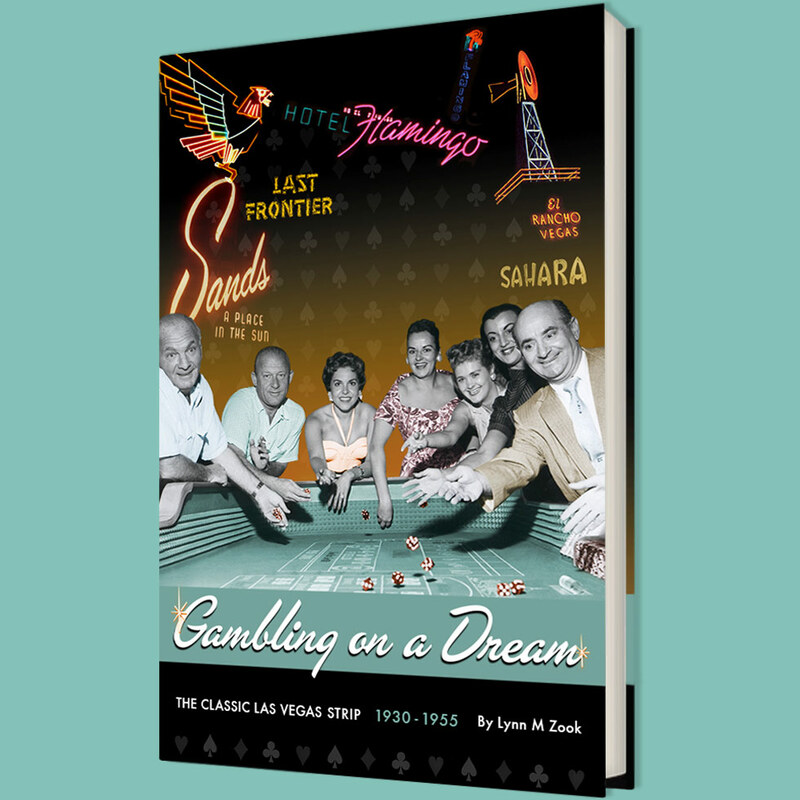 Each time one is imploded, Las Vegas loses more of its valuable history that it can't reclaim. On the bones of these venerable hotel will rise The Plaza (a landmark in NYC, which tells us, in a way, how far Las Vegas has come from its real Sin City roots), which from pictures we have seen, will be yet another oversized hotel catering to the high end crowd. Lost in all this (perhaps not to time but in the way we think about Las Vegas) will be the story of R.E. Griffiths, William Moore and the original Last Frontier Hotel, where guests could experience the Wild West in Modern Splendor. Lost will be the stories of the Last Frontier Village and Dobie "Doc" Cahill, lost will be the stories of mule teamster, Rollie Gibbs, Sr and lost will be the stories of Sam Melchionne, Sr and the Nugget Nell. I can't relate to the revelers who whistle and shout in support of the demolition. A piece of my past was destroyed today. It is a sad day for all of us who love Classic Las Vegas.